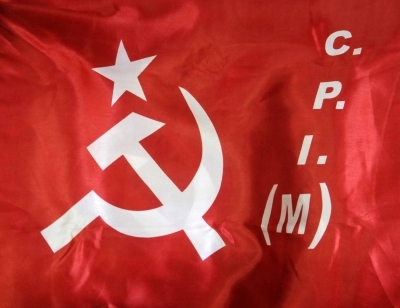 New Delhi, Aug 10 (IANS) In contrast to BJP and RSS claims that Kerala’s ruling Marxists are on a killing spree, the CPI-M has said that it has lost more members to political violence than any other party in the state since 2000. “The BJP, under the direction of the RSS, has begun an all-India campaign directed against the so-called violence of the CPI-M against the RSS-BJP workers,” an editorial in the CPI-M journal People’s Democracy said. “But the concocted facts cannot be sustained. According to Kerala Police figures, between 2000 and 2017, 85 CPI-M workers were killed as against 65 of the RSS-BJP. These figures themselves reveal who has borne the brunt of the attacks,” it said. It said a RSS-BJP gameplan in Kerala had been unfolding after the BJP failed to make a significant impact in the May 2016 assembly election. “It fell back on its longstanding method of launching violent attacks targeting CPI-M workers all across Kerala,” it said. Pointing out the alleged corruption scandals that it said had engulfed the BJP state unit, the CPI-M claimed that it was to divert attention from this that the BJP-RSS had resorted to engineering clashes with the CPI-M.